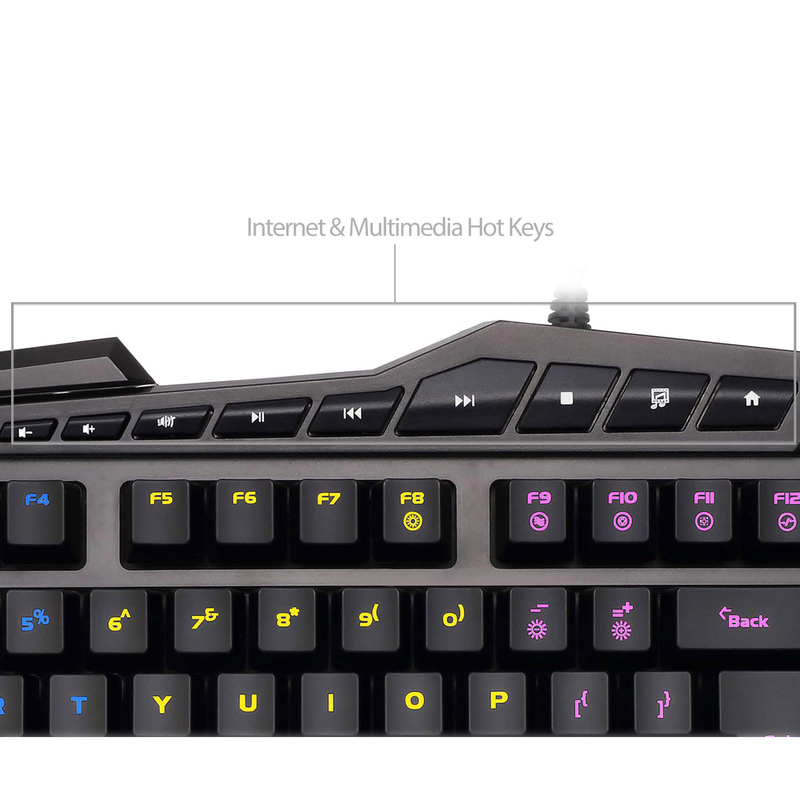 The Illuminated Backlit Keyboard lets you choose your keyboard's backlit color from green, blue to red to multi-colored or even no colors, with the touch of one button and easily allows you to adjust the brightness up, or down to suit your personal preference and mood. 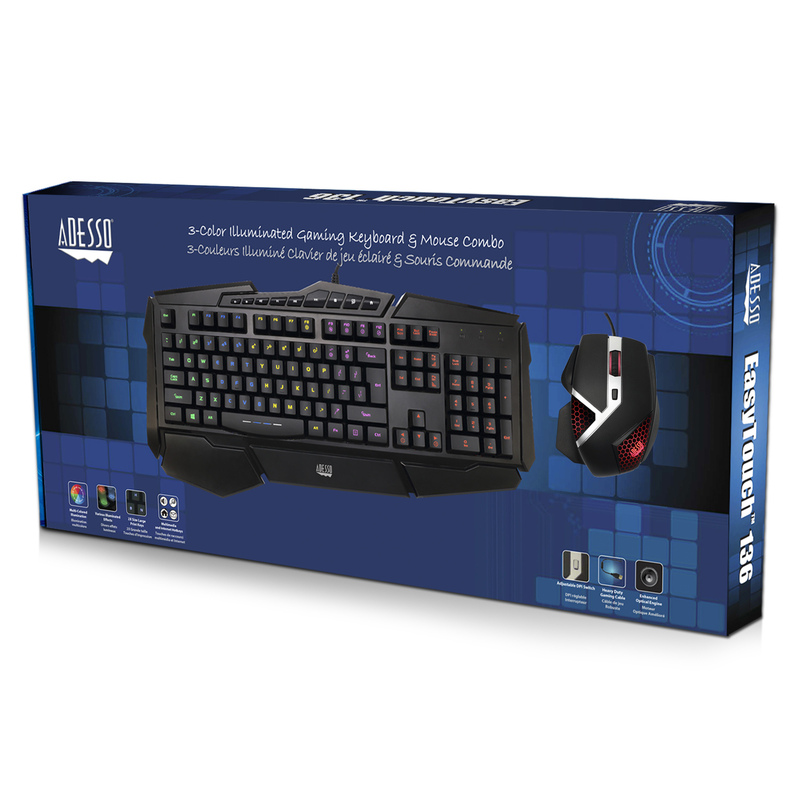 The gentle illumination sets the tone for gamers with various illuminated effects and controls. 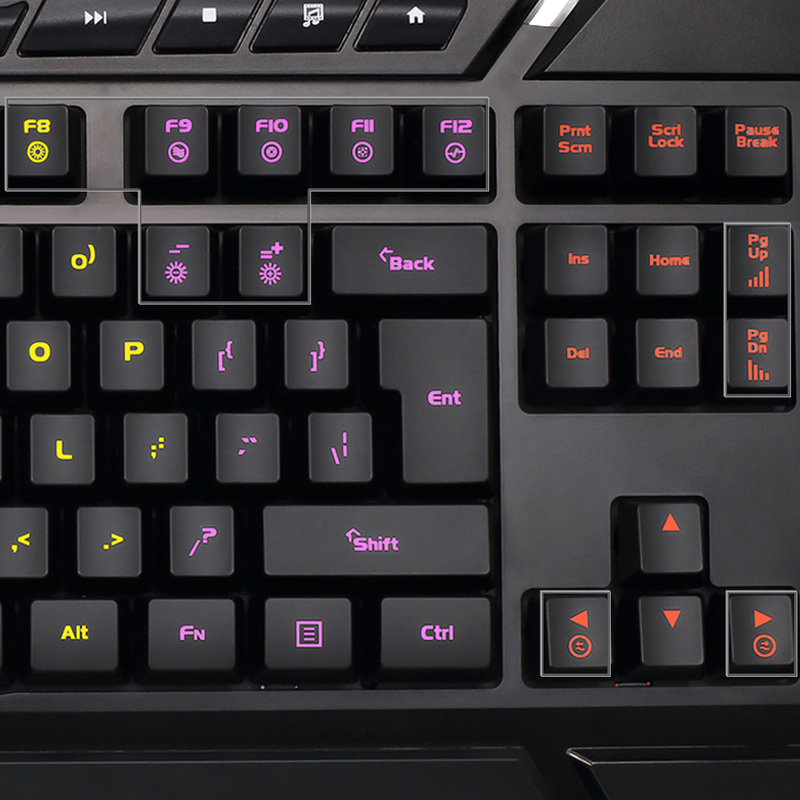 See the correct keys in any dark environment while working or gaming. The gaming mouse has an integrated optical engine that allows you to adjust to different levels of DPI of up to 2000 DPI for efficient accuracy and precision. 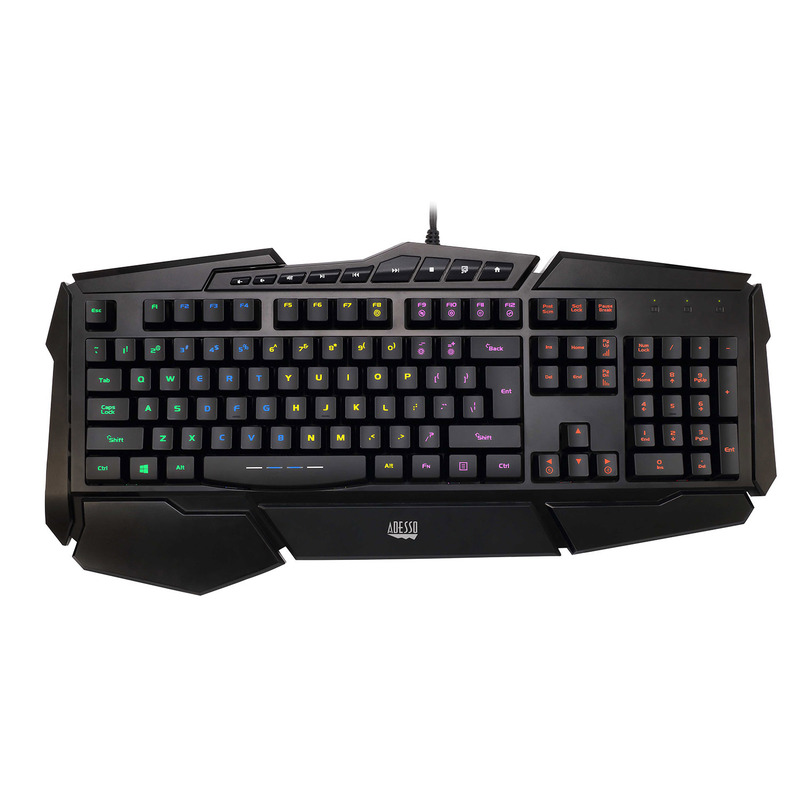 The Illuminated Backlit Keyboard lets you choose your backlit color from green, blue to red to multi-colored or even no colors, with the touch of one button and easily allows you to adjust the brightness up, or down to suit your personal preference and mood. 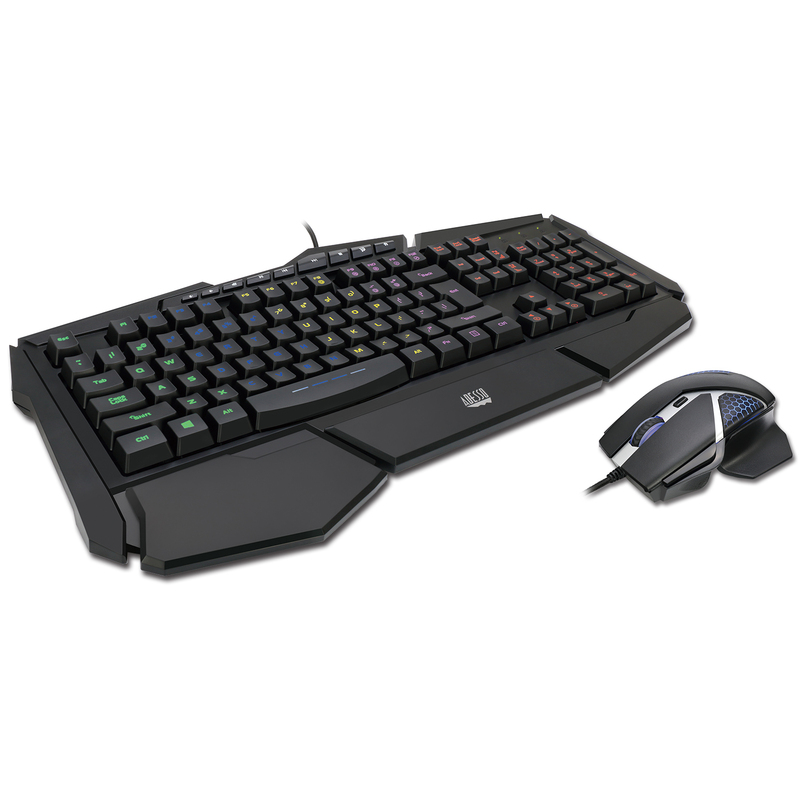 The gentle illumination sets the tone for gamers with various illuminated effects and controls. 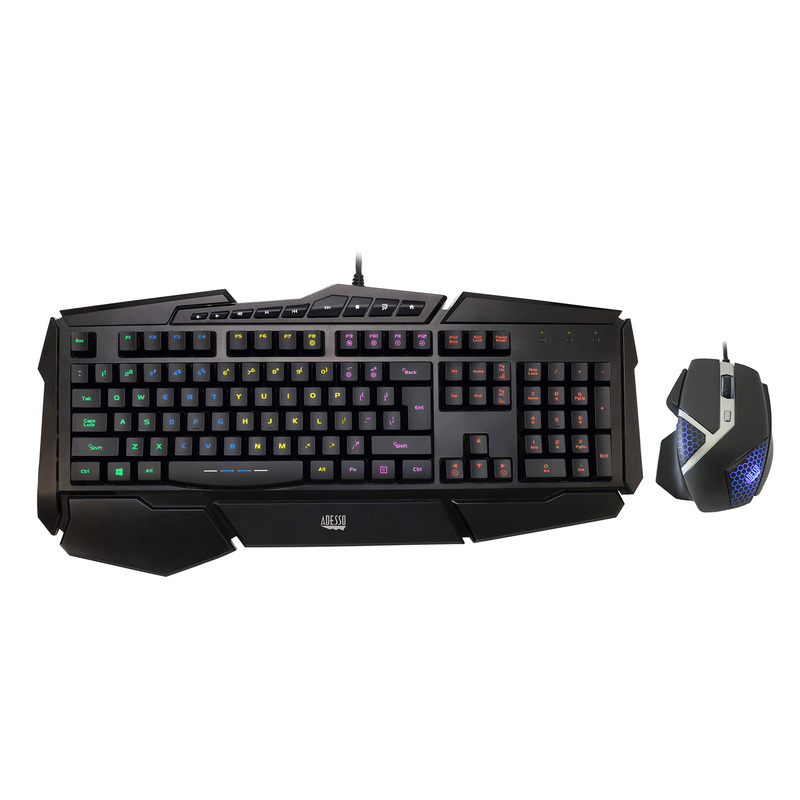 See the correct keys in any dark environment while working or gaming. Adjust from 11 Buttons: Illumination Solid ON, Wave Effect, Slow Breathing, Key Activated, Flashing Illumination, Brightness Up, Brightness Down, Illumination Speed Up, Illumination Speed Down, Wave from Left,Wave from Right. 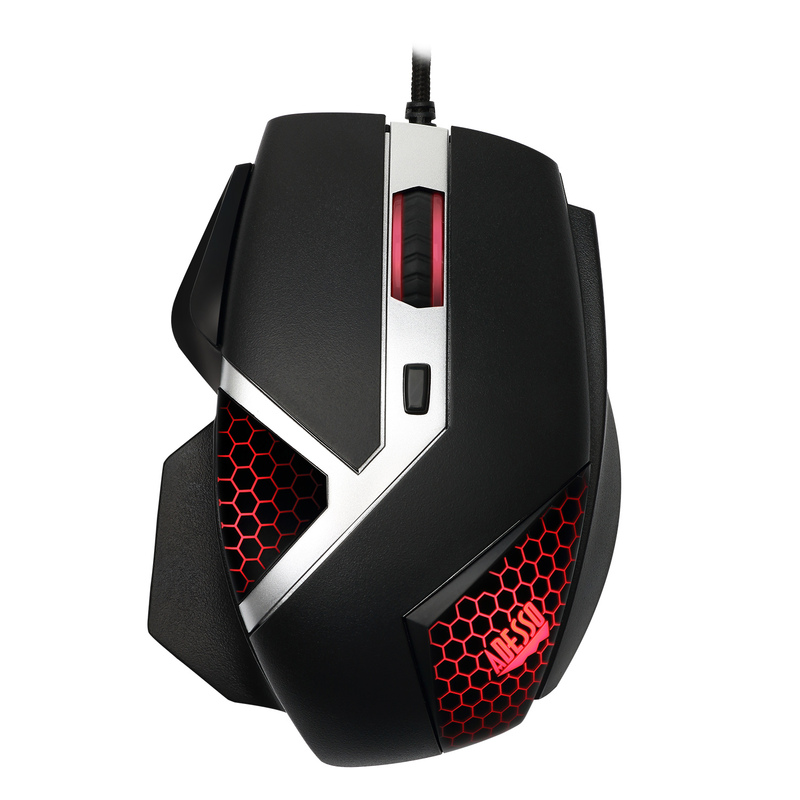 Switch easily from a range of 500 to 2000 DPI, for faster browsing and precision, as well as access the one button select key located next to the left mouse button for more accurate highlighting and editing. Dimension (Keyboard) in Inches 17.7 x 6.6 x 0.8" 19 x 8.7 x 1.2" 20.5 x 9.3 x 1.5"
18.5 x 6.5 x 1.5"
Dimension (Mouse) in Inches 3.4 x 5.0 x 1.7"
4.5 x 3.4 x 1.5"
3.4 x 5.0 x 1.7"